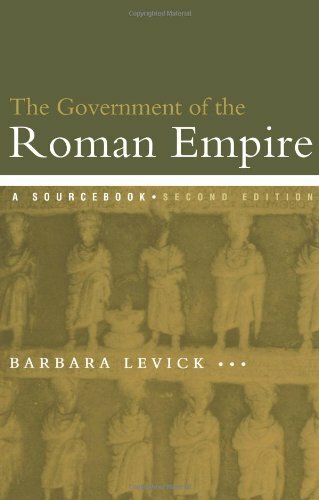 This is the only sourcebook to concentrate wholly on how the ROman Empire was administered, using the evidence of contemporary writers and ancient historians. Care is taken to balance material from all parts of the Roman world, with the focus on evidence which has often been inaccessible. Each item is introduced, explained and cross-referenced to related material within the book and elsewhere, with helpful bibliographies to guide the reader. Now revised and updatedThe Government of the Roman Empireis the most up-to-date, user firlendly and cohesive collection of sources available on the subject. It is an essential resource for everyone with an interest in ROman history.